I'm an i-sopod from London! I'm a Zero Gravity Suite from Austin, TX! So what's the difference between the pod and the cabin? 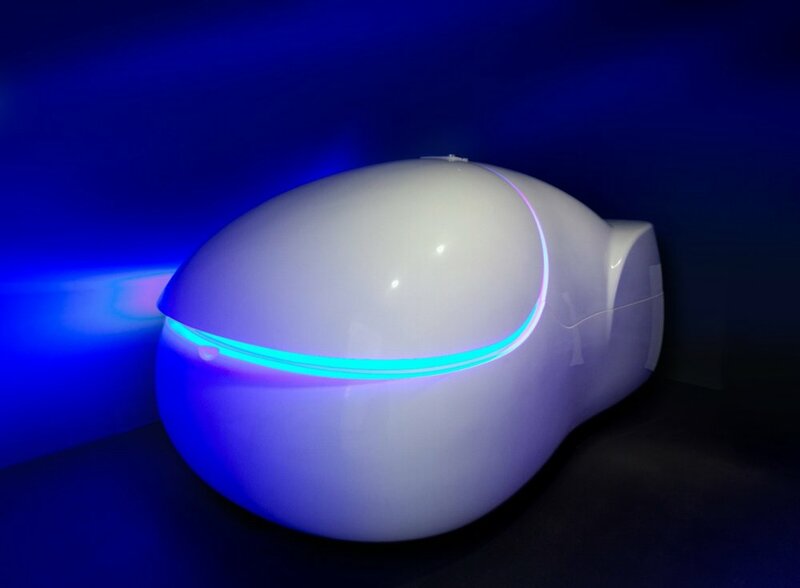 At FLOAT we offer both pod and cabin style tanks. Why? Because everyone is different! We recommend for everyone to try both to see which one works better for you. Rooms 5, 6, and 7 have i-sopods! Both tanks have a huge floating area with over 1000 lbs of epsom salt, but the cabin is a little larger and a lot taller! The water is only 10" deep in both of them and they both do a really good job of maintaining their water temperature. If you are claustrophobic the cabin is probably a better option, although the pods are a lot bigger than they look in photos. Many clients like the openness of the tank and the larger float area, but the pods feel cozier and can make it easier to find your bearings.